Fits half-face and full-face North by Honeywell respirators. Routine cleaning and service of all air-purifying respirators includes removal, inspection, and periodic replacement of inhalation and exhalation valves. 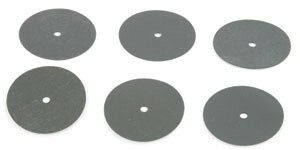 These manufacturer’s replacement parts are sized for a secure seal, protecting the worker.